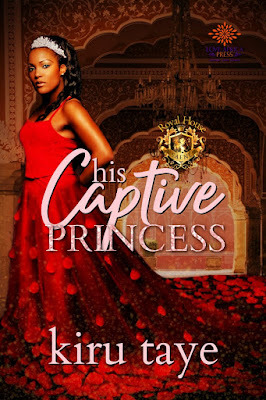 Love Africa Book Club welcomes the third princess in as many weeks to the blog. 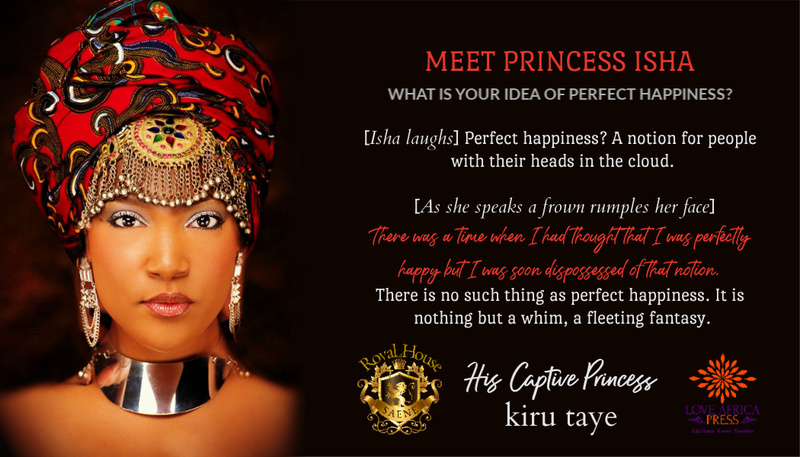 Please give a warm welcome to First Princess, Isha Saene of the Kingdom of Bagumi as she spends time with our interviewer in preparation for her upcoming story, His Captive Princess written by Kiru Taye as part of the Royal House of Saene book series. I’m always working hard to promote my country the Kingdom of Bagumi and my latest project is set to position Bagumi as the fastest growing mid-sized economy in the region. As for my greatest achievement, that is yet to come. [Isha laughs] Perfect happiness? A notion for people with their heads in the cloud. There was a time when I had thought that I was perfectly happy but I was soon dispossessed of that notion. There is no such thing as perfect happiness. It is nothing but a whim, a fleeting fantasy. I’m in a party mood. [Isha smiles] I’m getting married in a few weeks and my friends have organised a bachelorette party in Lagos which I will be attending shortly after this interview. Before she died, my maternal grandmother, bless her soul, gave me a gift and I have treasured it ever since. You will have to find out what it is, in my story. I love my family, my friends and my country. Interviewer: What about your fiancé? you are getting married in a few weeks. I’m very fond of Kweku and we respect each other. Both things are vital in marital love. So, sure, I love him. I am passionate about what I believe in. I dislike people with no compassion or empathy. I will admit to having some personal fears but I will not share them publicly. Frivolities? [Isha laughs] You are speaking to the wrong princess. I don’t waste money on anything unnecessary. I trusted someone outside my family once. He let me down. This interview is getting very personal. [Isha sighs] I get defensive sometimes. I value friends who weather the storms of life with you. I have the utmost respect for Winnie Mandela. Without her, Nelson Mandela might never have gained as much visibility around the world during his incarceration. Many people forget the immense role she played in the fight against apartheid. She was my heroine. May the Almighty grant her soul eternal rest. I would lie to protect the people I love. There is a word I use when I get really angry. My mother doesn’t like it so I won’t repeat it here. I would go back eleven years and rewrite history. 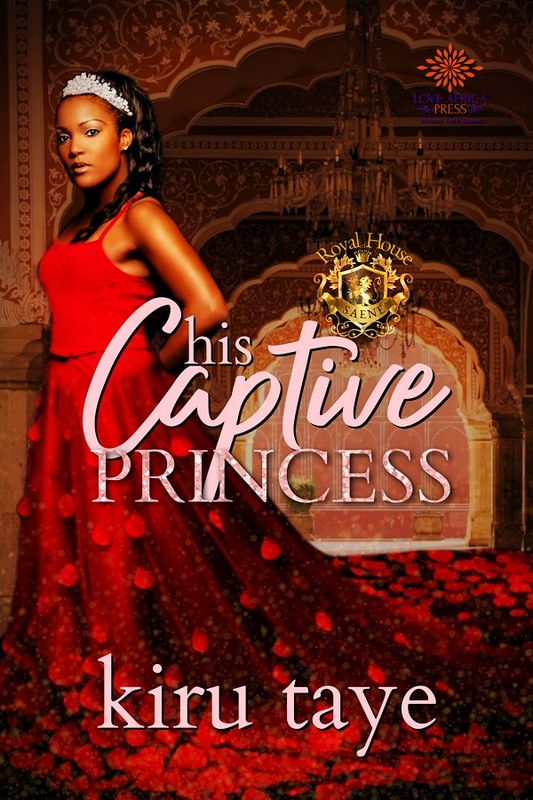 Thank you to Princess Isha and author Kiru Taye for indulging us. Yeah, Isha is a tough one. I'm curious about her favorite word. Great interview.